Originally from Fairfield, CA, Kristin moved to Santa Barbara in 2014 to attend UCSB where she studied Asian American Studies. 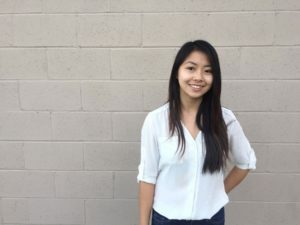 Her passion for social justice and community organizing developed while she gained experience advocating against tuition hikes and developing a federal student lobbying program with Associated Students UCSB and the UC Student Association. Kristin joined the Fund for Santa Barbara in April 2018, holding positions as a Development & Communications Intern and Administrative Assistant before becoming the FUND’s Operations Assistant in January 2019. Kristin is passionate about affordability and access in higher education, Asian American representation in politics, and gender equity. She spends her free time volunteering in local campaigns, cooking, and going to the gym.